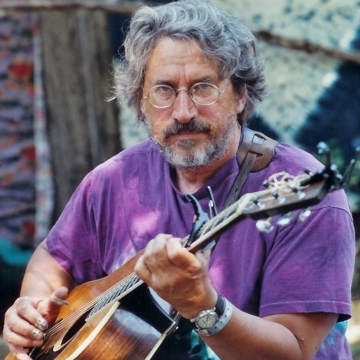 American folk singer-songwriter and social activist Jim Page was born in California in 1949 and grew up into the 1960’s in the San Francisco Bay Area, music and artistic experimentation of those days left a lasting impression on him. The politics and social awareness was a part of everything that was going on and it has stayed that way in Jim’s music. In 1975 Jim recorded his first album of original music, a vinyl LP called “A Shot Of The Usual,”released on his own label. Two other albums followed in rapid succession. In 1977 Jim journeyed to the UK and performed at the Cambridge Folk Festival.